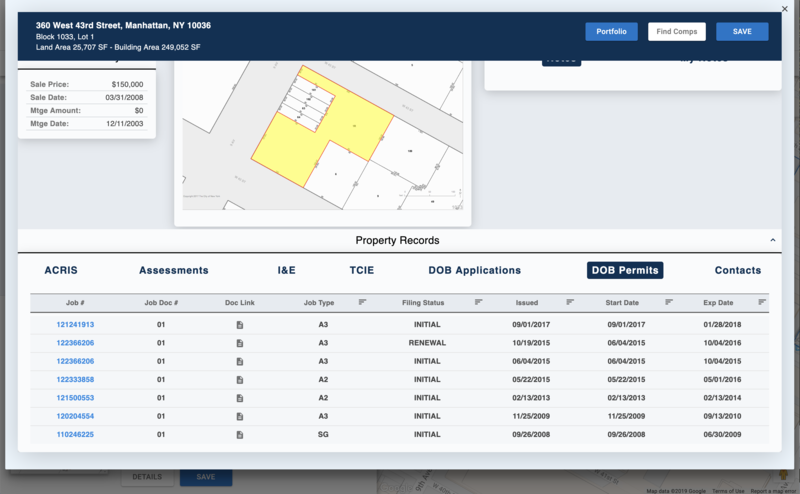 Access DOB data recorded for every NYC property. 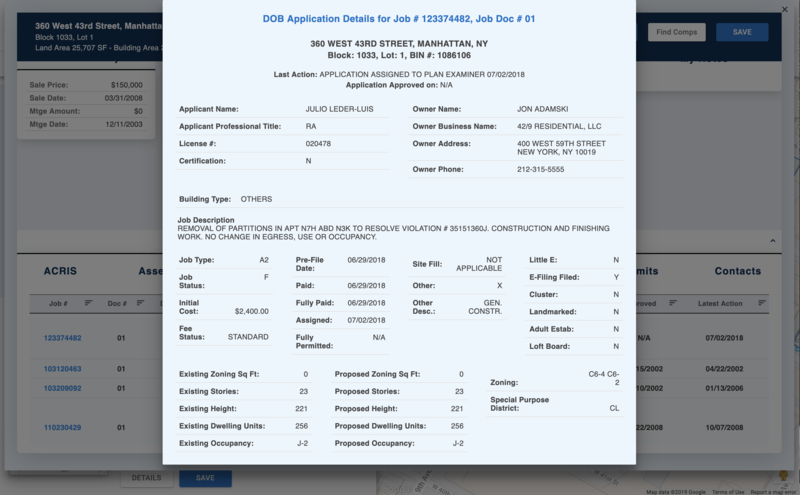 Search DOB Records by application/permit type, occupancy, status dates, parties and proposed building details. Analyze DOB Permits & Applications to forecast future supply so you can stay ahead of the game.